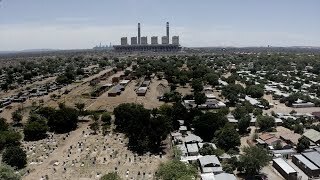 (Johannesburg, April 16, 2019) – Community activists in mining areas face harassment, intimidation, and violence, the Centre for Environmental Rights, groundWork, Earthjustice, and Human Rights Watch said in a joint report and video released today. The attacks and harassment have created an atmosphere of fear for community members who mobilize to raise concerns about damage to their livelihoods from the serious environmental and health risks of mining and coal-fired power plants. 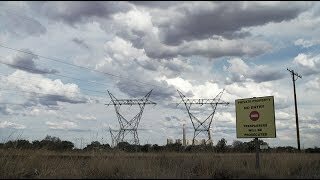 The 74-page report “’We Know Our Lives Are in Danger’: Environment of Fear in South Africa’s Mining-affected Communities” and video cites activists’ reports of intimidation, violence, damage to property, use of excessive force during peaceful protests, and arbitrary arrest for their activities in highlighting the negative impacts of mining projects on their communities. Municipalities often impose barriers to protest on organizers that have no legal basis. Government officials have failed to adequately investigate allegations of abuse, and some mining companies resort to frivolous lawsuits and social media campaigns to further curb opposition to their projects. The government should protect the activists.